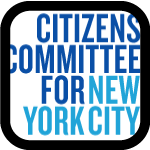 This badge is awarded to those riders who visit a Citizens Committee for New York City site, such as Maggie’s Garden on Lexington Ave, between 100 and 101 Streets. Cyclopedia is proud to be a CCNYC grant winner for two years! Worth 25 Points!